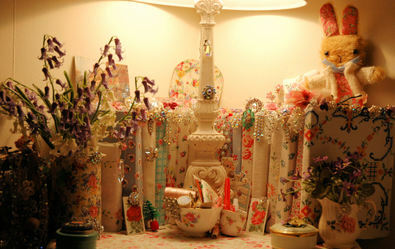 I was so fortunate to have won a Christmas Giveaway the other day, from Nicky at The Vintage Magpie. 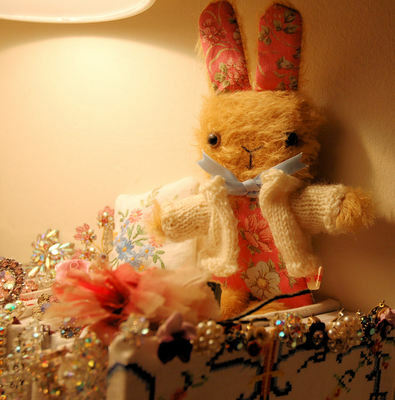 And guess what I won; the sweetest little rabbit handmade by Nicky herself. Say hello to Miss Matty. She came beautifully wrapped and I managed to resist opening her until Christmas Day. Thank you, Nicky, I had thought I would give her away as a gift to one of my nieces but as you can see I can't bear to part with her! 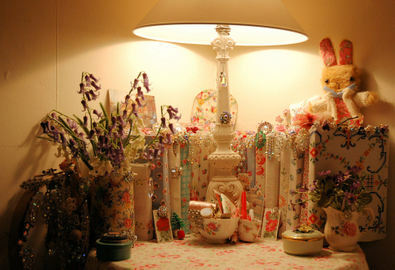 And I urge you all to go spend sometime visiting Nicky's lovely blog because she sells her handmade rabbits and bears. 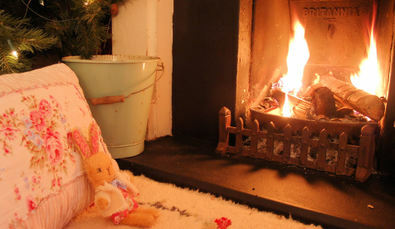 And as for sweet Miss Matty - she has certainly made herself very much at home..